488-page pdf in Spanish. 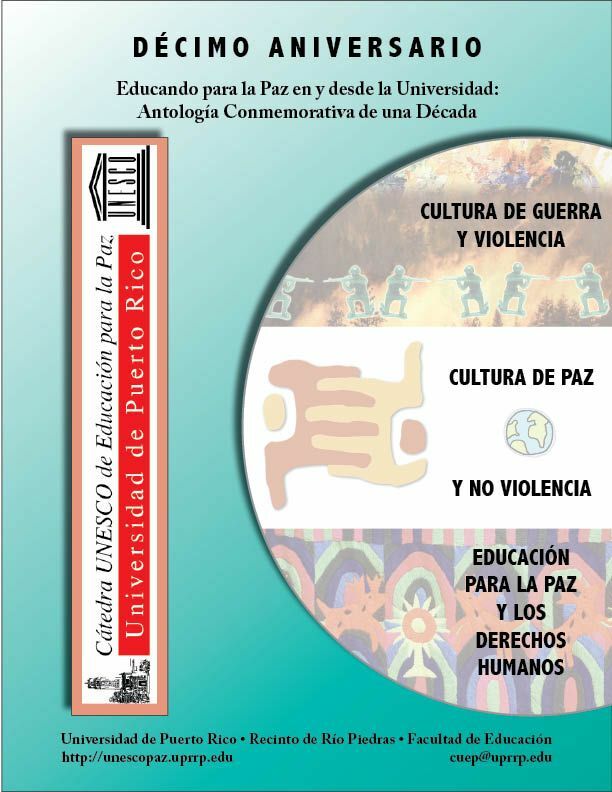 The UNESCO Chair in Education for Peace was created in November 1996 from a cooperation agreement between the University of Puerto Rico and the Organization of United Nations Educational, Scientific and Cultural Organization (UNESCO). This Anthology provides an overview of the essays and documents developed in the first decade of activity seeking to promote reflection and attention to the problems of violence and hope and to encourage and provide direction for non-violent action towards peaceful coexistence. The Anthology was released on a commemorative CD and as this downloadable pdf.